Poker pro Tony Miles battled his way through thousands of players to get himself all the way to heads-up play at the 2018 World Series of Poker Main Event. Now, Miles is taking on what many would consider an event bigger challenge: qualifying for American Ninja Warrior. Miles was the runner-up this summer at the WSOP Main Event, winning $5 million and instantly becoming a household name in the poker community in the process. In an interview with Sarah Herring of PokerNews last week, Miles confirmed that he had booked a bet with Deeb in which Miles would need to not only advance through a city qualifier and get on American Ninja Warrior, but also advance past the first round of the competition in order to win. While Miles wouldn’t confirm the details of the bet or offer any specifics on the stipulations, Deeb had tweeted about the bet back in September, shining some light on what now appears to be a real wager. According to Deeb’s tweet, Miles is putting up $5,000 on his ability to get on the show and advance at least one round at some point in the next three years. If Miles can do it with in a year, he’ll win at 25/1 odds, taking home $125,000. If he can do it in the second year, the odds drop to 20/1 ($100,000), while doing it in the third year would pay 15/1 ($75,000). If he still hasn’t done it by the end of year three, Deeb will collect his $5,000. 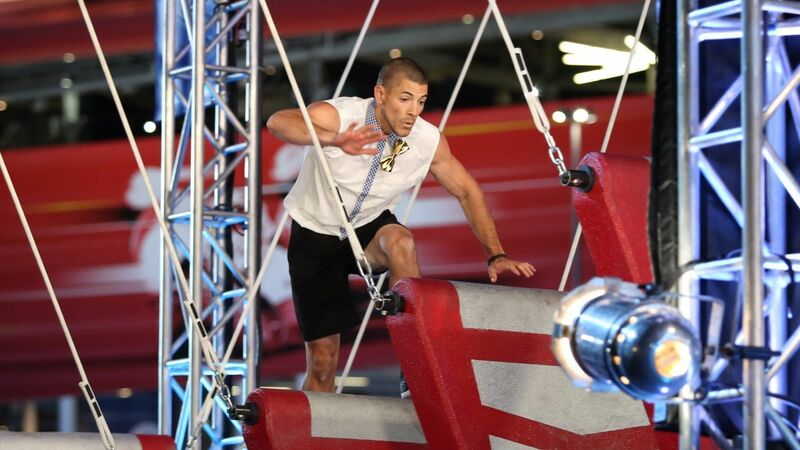 For those unfamiliar with the show, American Ninja Warrior is a sports-based competition in which competitors from around the country attempt to complete a series of obstacle courses. This starts with qualifying rounds at various cities around the United States, with 30 competitors from each city advancing through to a city finals course. The top 15 finishers in the finals advance to the National Finals in Las Vegas, though Miles told Herring that he only needed to get through the qualifying course to win the bet. Even getting to the qualifiers is a challenge, however. The selection process is rigorous, with Miles saying he had to fill out a 30-page questionnaire and submit a 10-minute piece outlining his personal story. Miles told Herring that he is already training hard in an effort to prepare himself for a potential qualifying run. While it’s hard to speculate on Miles’ overall physical prowess, there’s no doubt that he has plenty of endurance. Miles battled with eventual WSOP Main Event champion John Cynn for an incredible 10 hours and 442 hands before Cynn finally got the best of him to win the $8.8 million first prize.